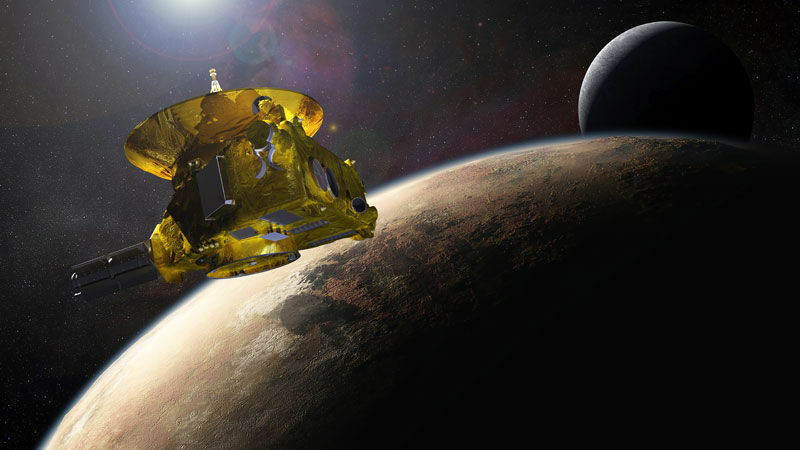 On Tuesday, NASA will make history as its spacecraft approaches Pluto. The New Horizons spacecraft launched nine years and three billion miles ago, building up to this moment when it will fly by and take new close-up images of the icy terrain with a piano-sized robot. It's a far cry from the days when scientists heatedly debated over whether Pluto was a planet, before classifying it as a "dwarf planet." Astronomers Ken Croswell and Andrew Fraknoi join us to talk about the mission's importance and other new intergalactic discoveries. Ken Croswell, astronomer and author of "The Lives of Stars" and "The Alchemy of the Heavens"